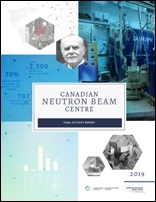 Study of CNBC Performance and Impacts – (Strapolec, 2019) This study was commissioned by the Canadian Neutron Beam Centre (CNBC) to analyse and summarize the benefits that materials research using neutron beams at the CNBC has offered to Canada’s academic communities and industries. 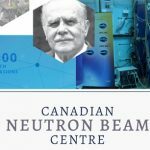 The study found that the CNBC was a key element of Canada’s research infrastructure that supports its innovation economy and was competitive with international neutron beam facilities. The CNBC’s user community was well-distributed across Canada, and it enabled these users to make greater scientific impacts; it was used by a high proportion of Canada Research Chair holders and was rated Canada’s most valuable research asset by international scientific experts. 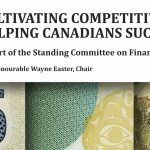 Researchers who used the CNBC attracted a high proportion of collaborative industry research dollars from a broad cross-section of Canada’s industries that invest in R&D. The CNBC was an engine of supply of highly qualified people, enhancing university training and inspiring students to pursue greater educational achievements leading to careers in Canada’s academic, industrial manufacturing, and scientific R&D sectors where their skills are needed most. 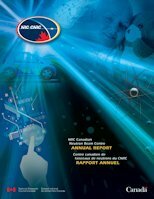 Bibliometric study on CNBC’s scientific publications 1980-2017 – (Science-Metrix, 2018) This study was commissioned by the Canadian Neutron Beam Centre (CNBC) to analyze citations of papers arising from access to CNBC. The study found that the CNBC’s performance between 1980 and 2017 can be described as a steady output of papers of a high quality that incrementally improved over time. The scientific impact was well above world average and is competitive both with other Canadian facilities for materials research, and with neutron beam facilities abroad. Canada’s Neutron Source, the NRU reactor, closes – (CNBC, 2018) An overview of the history of neutron scattering at Chalk River published in Neutron News. 70 years of scientific impact using neutron beams at the Chalk River Laboratories – (CNBC, CINS, 2019) This paper summarizes CNBC history and performance from a bibliographic perspective. It also reports a bibliometric analysis of the use of neutron scattering data among all Canadians, regardless of where the data was taken. The results provide a useful metric of the size of the Canadian neutron scattering community. The manuscript is submitted to FACETS journal. The supplementary material referenced in the data is available here. The supplementary material includes data, python scripts, and a discussion of possible refinements to the search methods. 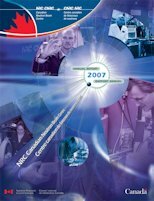 70 Years of Neutron Scattering in Canada – (CAP, 2018) This special issue of Physics in Canada reviews the history of neutron scattering in Canada, overviews present research areas, and discusses initiatives for the future. 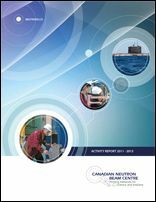 Report on the Contribution of Nuclear S&T to Innovation – (KPMG, 2014) This study for Natural Resources Canada includes a strong focus on materials research enabled by nuclear technologies including neutron beams. It finds that the Canadian Neutron Beam Centre (CNBC) and its user community compares favorably with other large science facilities in Canada, by impacting a broad cross-section of industry. 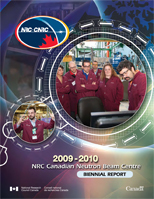 It examined data from the 2006 CCA assessment of S&T in Canada, showing that the CNBC received the highest ranking by international experts of any of Canada’s large research facilities (p67). The CNBC publication list reports over 2300 papers and reports arising from the CNBC and its predecessors at Chalk River since 1949. The list seeks to include all staff publications, or user publications that report analysis of data obtained from the CNBC. 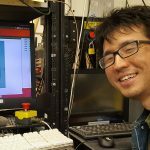 Former webpages of the CNBC describing the beamlines and the process to get beam time are archived as pdf files available here. 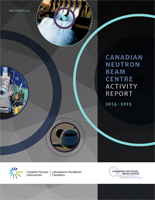 Prior to 2016, the users of the Canadian Neutron Beam Centre were requested to submit a brief report following their beam time allocations. 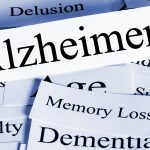 These reports were not subjected to review, nor were they intended to replace any form of scientific publication. The following are reports received in 2015. The following are reports received in 2014. The following are reports received after March 1, 2013. Vezvaie M., Noel J.J., Tun Z., and Wren C.
The following are reports received after the September 1, 2012 call for reports. Vezvaie M., Noel J.J., Tun Z., Shoesmith, D.
Vezvaie M., Noel J.J., Tun Z., Wren C.
The NRU reactor was shutdown from May 2009 to August 2010 for repairs, during which period there were no neutron beams. Thus, the call for reports from beam time allocations in both 2010 and 2011 was issued by CNBC in January 2012. The NRU reactor was shutdown from May 2009 to August 2010 for repairs, during which period there were no neutron beams. Thus, fewer experimental reports were produced in 2009 compared to previous years.